Kate Aspen has done it again! 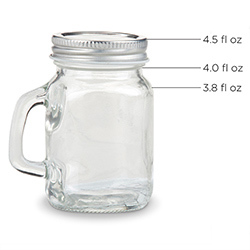 The classic, rustic mason jar mug gets a tiny treatment with our Personalized Mini Mason Mug wedding favors. 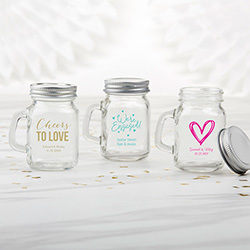 These versatile glasses couldn't be cuter - light votives inside and place around your reception hall, or fill with candies or small goodies. Either way, you can personalized with your own wedding details.